Oesophageal cancer has a high metastatic potential and poor prognosis, with a significant risk of recurrence after radical resection. 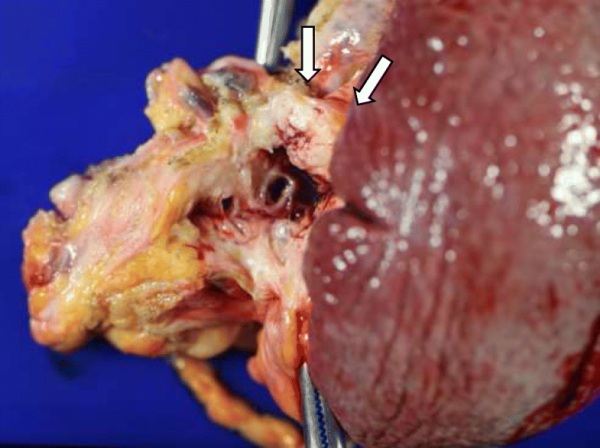 However, resected pancreatic metastasis from esophageal cancer is rare. Eleven years prior, a seventy-year-old woman had been treated with transthoracic radical esophagectomy for esophageal squamous cell carcinoma. Four years prior, she had undergone chemotherapy for lymph node recurrence at the splenic hilum and achieved a partial response. She had also received chemoradiotherapy for lymph node recurrence at the splenic hilum 3 years prior; a complete response was achieved. 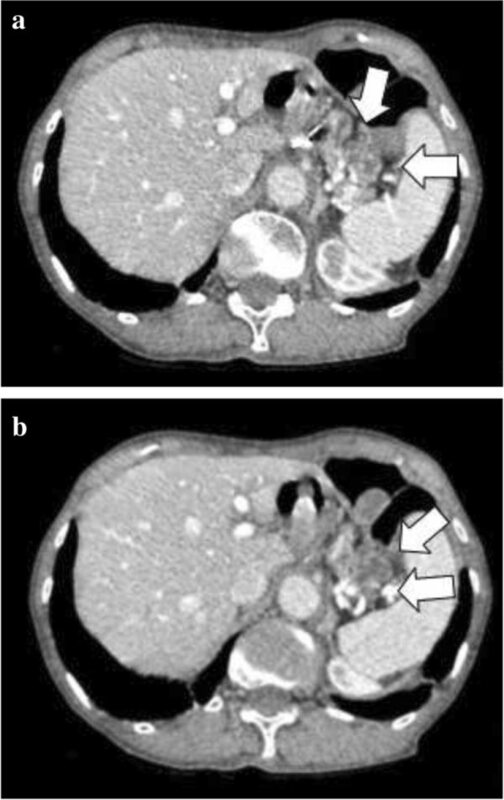 However, routine follow-up with abdominal computed tomography recently revealed a tumour at the pancreatic tail and swollen lymph nodes. 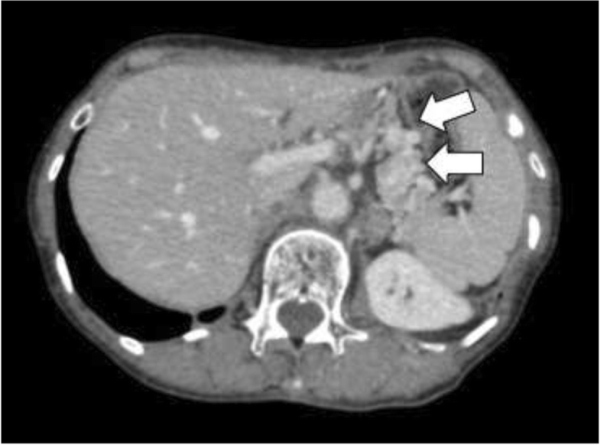 The patient underwent distal pancreatectomy on the basis of a pre-operative diagnosis of primary pancreatic cancer, although a histological examination of the surgical specimen revealed metastatic squamous cell carcinoma that was compatible with metachronous pancreatic metastasis from esophageal squamous cell carcinoma. The patient has been undergoing clinical follow-up without adjuvant therapy and has been disease-free for 24 months after resection of the pancreatic metastasis. 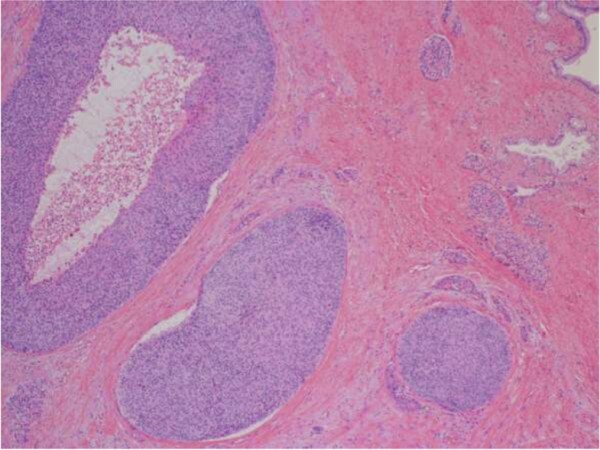 Resection of pancreatic metastasis may improve prognosis and should be considered when treating patients with solitary metastasis from esophageal squamous cell carcinoma.